When the housing market is slow, some homeowners whose houses are for sale lease out their homes to cover their expenses. Some sellers offer incentives to renters, in hopes that they will end up buying the home. One creative option is to offer the home for rent with an option to buy. In the deal, a portion of the rent may be credited to the buyer toward down payment on the home, and is given to him as a credit at the closing. In a lease-option agreement, the rental agreement is written up to include a certain amount of the rent that will go toward the down payment or is used to reduce the sale price. To receive the credit, the renter would need to close the purchase within a certain amount of time. This time can be within one or two years, but some extend further, depending on what the two parties negotiate and agree upon. If the renter expects to close within a 12-month period, he should have a mortgage professional prequalify him for a mortgage even though the closing will not occur for a year. This gives ample time to clear up credit items and accumulate down payment funds needed to close the loan. The lease agreement will spell out the amount of credit given to the buyer. This is usually a portion of the monthly rent. Other credits listed in the agreement would include security and pet deposits. Say you agree to rent the home for 12 months at $850 per month, and the market rent in the neighborhood is $800 per month (as determined by an appraisor). The $50 difference in rent can be credited toward your down payment amount. Let's also say that you put up an $800 deposit and $200 for a pet deposit. The seller may allow you a credit of all of the $1,000 in deposits at closing, but it is up to the lender to determine how to apply these credits. Understand that if you do not close the loan, you will most likely lose the deposits and rent credits. Lease purchase agreements offer an advantage to buyers who need to rent before closing on a home, since the renters are able to build up some equity in the home. The purchase price is set at the beginning of the rental period. Hopefully by the time the transaction closes, value on the property would have increased. Renters can also be compensated for doing work on the home, such as cosmetic repairs, yard cleanup, solving landscape problems or other needs. There are many benefits to the homeowner in a lease purchase agreement. The tenant/buyer's monthly rent covers his mortgage payment which reduces his financial stress. The renter benefits since he is able to get a portion of his monthly rent back if he buys the home. The renter is able to freeze the sale price a year or two in advance of closing, and he gets to "try out" the neighborhood, schools, and the area to see if he is happy enough with it to permanently stay. Renters should be aware that lender guidelines only allow rent credit to be used as a part of the downpayment under certain circumstances. If the renter is paying more than market rents for the neighborhood, the excess rent (over and above the market rent) can be credited to the borrower at the closing of his mortgage loan. 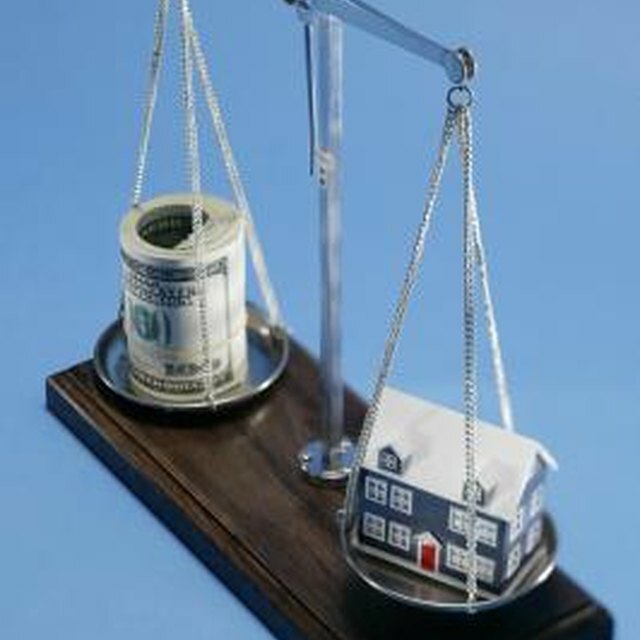 In the above example, market rent for your home in your neighborhood is $800 per month, and you agree to pay $850. The seller can give you $50 per month, which amounts to $600 ($50 times 12 equals $600) in rent credit per year to be used for down payment funds. If your neighborhood market rents are $800, and you rent the home for $700 per month, any credit the seller agrees to give you must be used to decrease the sale price of the home. Talk with a mortgage representative for information regarding other credits (such as deposits), and how they can be used as rent credit. The lender may allow deposits to be used as part of the down payment, but if not, they can be used to reduce the sale price of the home.